The Netherlands – Cloud Provider BV, a leading European-based Infrastructure-as-a-Service (IaaS) and cloud hosting provider, today announced the launch of Hosted Cloud Apps, a new hosted application solution that gives Cloud Provider customers an easier way to discover, deploy and manage applications in the cloud. Built on technology from Standing Cloud, a leading provider of cloud application marketplace and management solutions, Hosted Cloud Apps is an easy-to-use cloud-based marketplace of 100+ applications, software, development tools and deployment options, fully pre-configured to run instantly and reliably on the Cloud Provider infrastructure. In addition, Standing Cloud’s automated application lifecycle management features give Cloud Provider users, resellers and solutions providers an easy way to manage the application on a continuing basis, including monitoring, scaling, back-ups, upgrades, auto-restore and more, once it is deployed. “Making it easy to spin up fully configured versions of popular applications like Drupal, Joomla and Magento on Cloud Provider infrastructure and manage them directly through our Cloud Portal dashboard is a great benefit for our customers and resellers, and with the Standing Cloud Marketplace it was easy to do,” said Sander Cruiming, General Manager of Cloud Provider BV. Hosted Cloud Apps on Cloud Provider is available at http://www.cloudprovider.net/cloudapps. Users interested in evaluating the solution can get started immediately with a no cost, 14-day hosted “Test Drive” in the cloud, including cloud server resources and fully configured versions of popular Open Source software applications and development platforms. 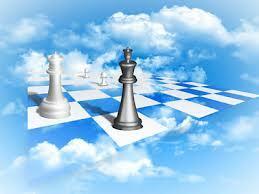 Standing Cloud is a leading provider of cloud application marketplace and management solutions. We deliver a seamless application layer for cloud providers, technology solutions providers and ISVs, making application deployment and management fast, simple and hassle-free for their customers. Based in the Netherlands, Cloud Provider BV is a one of Europe’s leading cloud hosting providers, offering scalable, on-demand Infrastructure-as-a-Service (IaaS) cloud solutions for end-users and resellers.